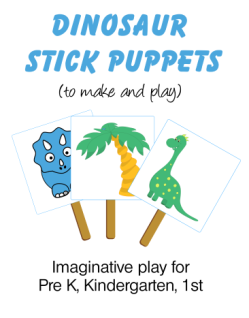 Do you want to find out about the stegosaurus habitat? Find out where the stegosaurus lived, what it ate, what its behavior was and how big it grew. All the facts and information you need. The Stegosaurus dinosaur lived in what is now western North America. 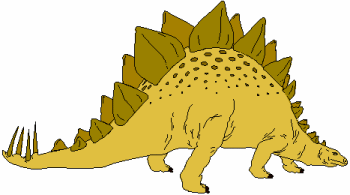 The first Stegosaurus fossil was found north of Morrison, Colorado. In 1982 it was declared the State Dinosaur of Colorado. Since that first fossil, several species of Stegosaurus have been found. The skeleton of Stegosaurus longispinus, meaning "long-spined roof lizard", was found in the Morrison Formation in Wyoming. Bones have also been at Como Bluff, Wyoming. Stegosaurus stenops, meaning "narrow-faced roof lizard", was found at Garden Park, north of Cañon City, Colorado, in 1886. Other types of Stegosaurus have been found in Europe, Madagascar, Africa, China and Mongolia. The dinosaur would have lived among the undergrowth of a subtropical Cretaceous forest, which was suited to the Stegosaurus diet. The Stegosaurus was not very well designed for walking, and would have looked odd as it shambled through the undergrowth looking for a tasty bite to eat. The Stegosaurus lived in time before the Tyrannosaurus - but there were Allosauarus dinosaurs around - the largest meat-eating dinosaur of the Jurassic period. Because the Stegosaurus was heavy and slow moving, it used its powerful tail as a defense. Some species had two pairs of spikes at the end of the tail, others had four pairs. Stegosaurus didn't have a very big brain, so it probably just thrashed its tail about wildly. An Allosaurs would have been badly wounded if it was hit by the tail - in fact one Allosaurus fossil has been found that looks as if this happened to it. Scientist are not sure if the bony plates of the Stegosaurus also acted as a defense against predators. Tracks found seem to show that the stegosaurus lived in herds, with young dinosaurs mixing with the older ones. They would have moved together through the undergrowth with the older dinosaurs helping to protect the younger ones. Stegosaurus was the largest dinosaur in the plant-eating family 'stegosauridae' - see how dinosaurs are classified. The Stegosaurus was about the size of a bus. For exact details and more information and pictures about this dinosaur, see the Stegosaurus dinosaur facts page.